She wrote for and about ordinary people and their plight, which is why she will be remembered alongside that other great Pakistani poet, Faiz Ahmed Faiz. 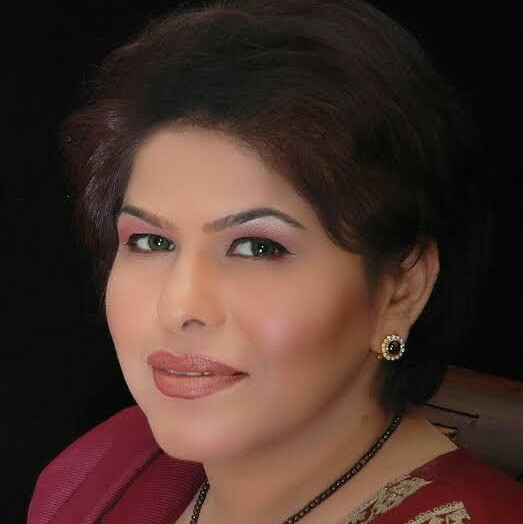 Fahmida Riaz (1946-2018). Credit: Facebook. 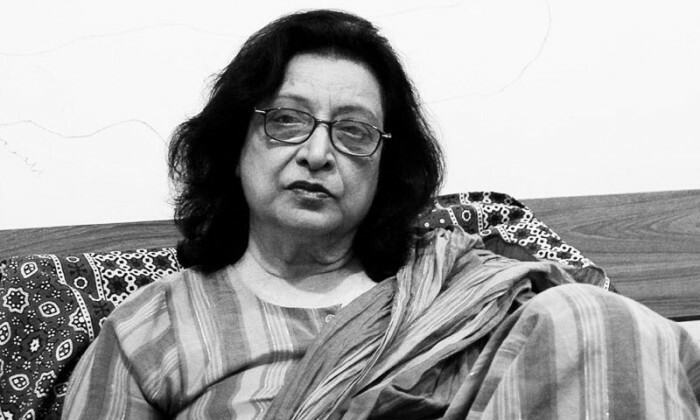 Fahmida Riaz died on November 21. She will be remembered for her bravery – for her outspokenness as a feminist and public intellectual – and for being a great poet. She wrote for and about ordinary people and their plight, which is why she will be remembered alongside that other great Pakistani poet, Faiz Ahmed Faiz. Riaz’s poetic career was inspired by the political agitation she experienced during the two early dictatorships in Pakistan – General Ayub Khan’s and General Zia’s. She was part of the anti-Ayub agitation during the late 1960s that later propelled Zulfiqar Ali Bhutto to power. But it was during Zia’s martial law that Riaz’s politics and poetry came of age. His rule was a dark period for the Pakistani intelligentsia. He infected society with narrow, sectarian values, set in motion a system of covert and overt coercion and placed limits on thought – which is why Fahmida Riaz decided to flee to India. With her husband in jail and multiple cases registered against them both, there was little she could do but escape. In all, she spent about seven years in exile in India. Growing up in Zia’s Pakistan as a child of the novelist and short story writer Jamila Hashmi, I remember Riaz being whispered about in literary gatherings as if her very name were prohibited. I met her much later, towards the end of the 1990s. Although my mother had died by then, it didn’t seem like I was meeting a stranger. In fact, we developed our own conversation that was both political and personal. She remained anxious over how I had been ostracised by both state and society – by those who had made their peace with the authorities and sought to keep their distance from individuals considered ‘marked’. Despite the harsh realities of martial law, not everyone in Pakistan’s circle of intellectuals was sympathetic to her decision to shift in India. Pakistan did not want to remember what was left behind in 1947, which is why there was very little poetry about partition. Those who tried to remember, such as the short story writer and novelist Quratullain Hyder, were criticized and eventually headed back to India. If seeking refuge in an ‘enemy’ state was not looked upon very kindly, there were others who sympathised with her decision. The Pakistan of the 1980s stood in stark comparison to the India of those days. Not much was known in Pakistan about the realities of Indira Gandhi’s emergency. People had heard about Sanjay Gandhi’s notorious acts but even those paled in comparison to what was experienced under Zia. Besides the censorship and the imprisonment and torture, the military dictator moved quickly to redefine the country, bringing Pakistani society closer to the identity in the name of which the country was created. General Zia’s patrons in the United States and his new-found partners at home – the religious right and the conservative trader-merchant class – welcomed the emphasis on religious values. A new Pakistan that was created during that period had to look different from what it left behind. The Islamisation of the state through the imposition of numerous Islamic laws was not just re-defining the nature of the state but also sending a message to the intellectuals that they could no longer sit privately and debate the question of whether 1947 was indeed a good thing. The state’s identity was here to stay. Most intellectuals were not irreligious but this kind of imposition of religion by the state was unprecedented. Even until the mid-1980s, sectarianism had not emerged as a major influence until the state injected it into the country’s veins by helping certain sectarian groups in pursuit of its foreign policy goals. Those who wanted to pray, fast or observe various religious rites used to do it in their own space. Not anymore. In comparison, the India of the 1980s was secular and democratic despite the communal tension lurking over the horizon. The Pakistan Riaz grew up in was lost forever while she took refuge in India. Many years later, she would lose even the India she had migrated to. She returned to Pakistan after Zia ul Haq’s death in 1988 and Benazir Bhutto’s victory in the elections that year. The political government recognized her suffering and tried to make amends by giving Riaz a position in the government. What Bhutto’s government could not compensate her or the progressive writers for was the loss of the old Pakistan, with its relative freedom of expression. While military authoritarianism had been always a problem in Pakistan, liberty in terms of social views and expression was still the norm until Zia’s arrival. His rule changed everything by making a particular understanding of religious morality fashionable. Female newscasters were told to keep their heads covered. Though Benazir Bhutto tried to bring back some of the old openness – for example, concerts were held in Lahore and other cities – the spirit of the state had changed forever. Moreover, constantly harassed through the ‘rule of the troika’ – the army chief, the president and prime minister – her government was perpetually bogged down by the very fight for survival. In 1990, the military and its intelligence agency conspired to remove Bhutto and plant a more conservative Nawaz Sharif. Riaz was sacked and hounded yet again, this time by the new political government. Even Nawaz was not tolerated by his sponsors beyond two years. This instability naturally benefitted religious forces that viciously negotiated a greater space in Pakistan’s informal political system. The elected political parties continued to make the mistake of ceding space to both the military and the religious right in the hope of buying time. Riaz was not alone in this misunderstanding; there were many others associated with the Pakistan People’s Party who believed that politically, Musharraf was a positive factor. Matters were not helped by the fact that Bhutto’s spouse, Asif Ali Zardari, had compromised the image of the PPP leader. The agricultural class – especially the big landowners – have traditionally dominated Pakistan’s parliamentary politics and Riaz resented the way the political system was mired in feudalism. What she did not appreciate was the manner in which the traditional feudal structure had faded away in the face of a new elite creation process. The military regimes played a major role in creating new economic, political and social elites out of both the urban and rural middle class with a neo-feudal attitude. A deeper structural malaise had set in that was difficult to capture through outdated analytical tools: the military machine had become a player in setting the terms of social discourse. Fahmida Riaz’s views about authoritarianism did not change, though the views of others had. Zia ul Haq got writers, poets and journalists hooked on to freebees and perks from the state. Government jobs, cars and plots were the sweeteners that silenced a lot of voices. In later years, this tool was fine-tuned to penetrate the minds of the seemingly educated and capable so that many stopped telling the difference between what was politically moral or immoral. Like other intellectuals, she expected performance from the political class – taking at face value the flawed narrative that political parties had ruled Pakistan since 1988. Even those who recognized where the real power actually lay had come to believe in the military being a lesser problem than the mullah. And then there were those who believed that since it was the military which had unleashed the extremist-militant, it alone could harness them, hence, an interest in Musharraf and his ilk. Fahmida Riaz knew that those that aim at becoming like gods, muzzling voices and killing people ‘for sport,’ mix religion with state. Ultimately, the faith of the ordinary falls victim to power and oppression. While many in India understood her agony, she was targeted and criticized, especially on social media by those unwilling to acknowledge the country’s changed face. Majoritarianism clothed as politics shocked her sensibilities. The faces and slogans may be different but the message of the states of India and Pakistan seems to have become similar – both are radicalizing rapidly. The extremism, the silencing of voices, the tactics of achieving social quiet is similar. There are powerful establishments on both sides, each look different, ready to deploy mobs if nothing else works, in the name of protecting state and god. The mixing of religion with the politics of the state makes rulers brutal and un-forgiving. It makes societies predatory. Such socio-political cultures kill dreams and idealism. It becomes costly to have a voice as the state uses multiple ways to punish. One way to silence dissent is to reward the pathetic and banish genuine intellect. I am sure she would have suffered more to see how on both sides of the cartographic divide the norms of predation were similar. And those aiming to succeed in life understood that they would have to abandon idealism. And so, when I heard of her death I wanted to cry out loudly the way they do siyapa (amplified mourning) in villages. It was just that I didn’t know what I was crying for – a person whom I was fond of, or the lost time she symbolized. Time when one could be a rebel, when one could protest, be brave and dream.